The author of Forgiveness discusses how he wrote his moving memoir with CBC Radio's All in a Day. 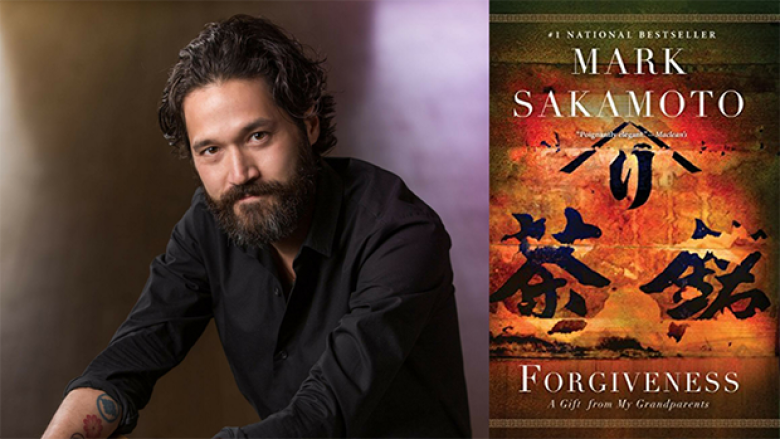 Forgiveness follows Mark Sakamoto's maternal grandfather through capture and imprisonment as a prisoner of war in Japan during the Second World War — all while his paternal grandmother and her Japanese-Canadian family are interned by their own government in Alberta. This book is a compassionate look at a family's history, and an unflinching portrait of Canada's own past. He spoke to CBC Radio's All in a Day in Ottawa about writing Forgiveness. Forgiveness, defended by Jeanne Beker, was the winner of Canada Reads 2018. "My grandfather had a rough childhood and, like most boys his age, he wanted to go serve his country and go fight in Europe. He joined the military and the Canadian government sent him to Hong Kong. Three weeks after getting there, he came up against 50,000 Japanese soldiers. He was captured in Hong Kong on Christmas Day. His experience was horrific. He was starved and beaten, and he was sent to Japan. "On the other side of the country, my grandma and grandpa Sakamoto were living rich productive lives. They were Canadian citizens, born and raised in Canada. At that time, the Canadian government bowed to political pressure and interned all Japanese-Canadians. My grandparents were taken from their home, lost their property and started life in a chicken coop in Alberta." "Through pure strength in my grandparents' hearts, they decided resolutely that they would not pass on the transgressions that were committed against them to their children. That's what was so interesting about Forgiveness. I used to think of it as a transaction, 'I harmed you, you harmed me. Let's shake hands and let bygones be bygones.' That's not forgiveness at all. I had thought forgiveness was backward-looking. But forgiveness is all about tomorrow. My grandparents understood that the worst transgression they could commit was to pass on those transgressions to their children. Forgiveness was all about their children." "I dedicated Forgiveness to my daughters so they knew what they were made of. My grandparents' stories of determination, struggle and love. At the end of the day, this is a very dark story. But like Leonard Cohen says, 'There's a crack in everything and that's how the light gets in.' I think my grandparents' journey of forgiveness is a light to my family, and hopefully it will be to some readers." Mark Sakamoto's comments have been edited and condensed.